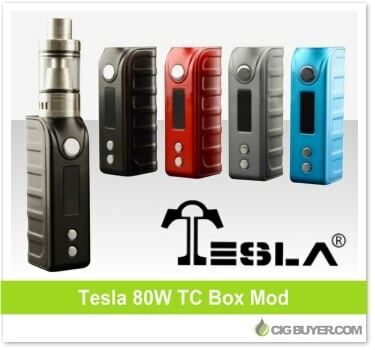 The Tesla 80W TC Box Mod came out a few months ago, combining performance and power into a simple but attractive design. It’s ultra compact in size, and the zinc alloy casing has a sleek, ergonomic shape with a simple to remove magnetic battery cover. Unlike the Tesla Nano Mod with it’s permanent built-in battery, the Tesla 80W Mod is powered by a replaceable 18650 cell and offers up to 80W of power with temperature control; compatible with both nickel and titanium coils at resistances as low as 0.05 ohms.